The wind energy potential in many developing and emerging countries is substantial. In many locations, generating electricity from wind energy presents an economically viable alternative to the use of conventional fossil energy sources such as coal or diesel. 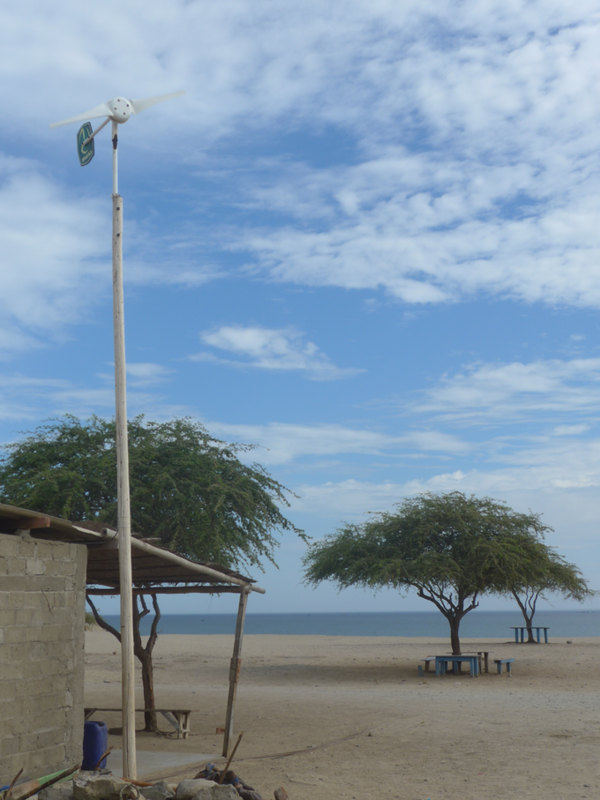 In developing and emerging countries, wind turbines are an alternative to conventional power stations. In comparison to fossil-fuelled power stations, wind energy can now be cost-effective in many places, as well as being non-polluting and reducing dependence on imports of fossil fuels. 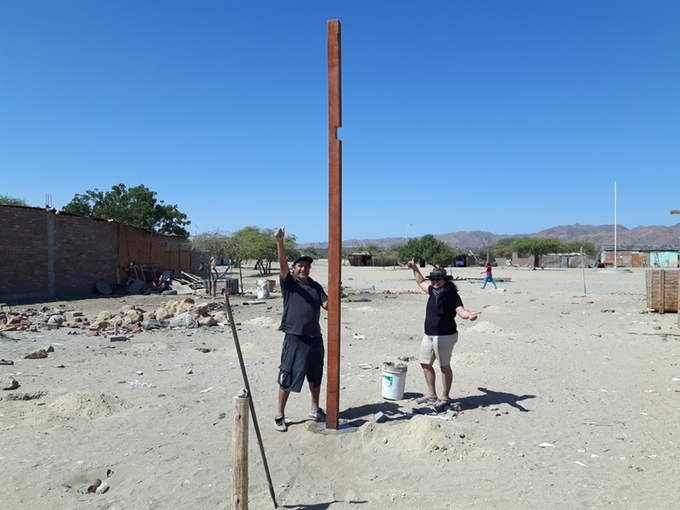 WindAid Institute is an awarding-winning NGO focused on creating a sustainable world through education and community integration in renewable technologies from last ten years. It serves as an educational institute whose projects provide electricity to developing communities utilizing wind energy to provide a clean and reliable source of electricity in locations where traditional electricity is not available. It has broken the Guinness World Record for the highest altitude wind turbine in the world by organising the full workshop at Truijillo, installing over 50 turbines. WindAid was also invited to present at both the United Nations COP 20 in Lima in 2014 and the unprecedented COP 21 in Paris in 2015. The students and professionals, who are participating in the workshops, learn hands-on about the processes involved in designing, building, and installing wind turbines. WindAid aims for all their volunteers to understand how renewable technologies can improve lives, while combating climate change and contributing for a sustainable future. Each project contributes to the evolution of the design, or reinforces the solidity of the design concepts encouraging an environment of education and innovation. Working with the recipient community, through training and preparation, they help to ensure the wind turbines operate for their entire design life of 20 years and continue to bring the benefits that electricity can provide. 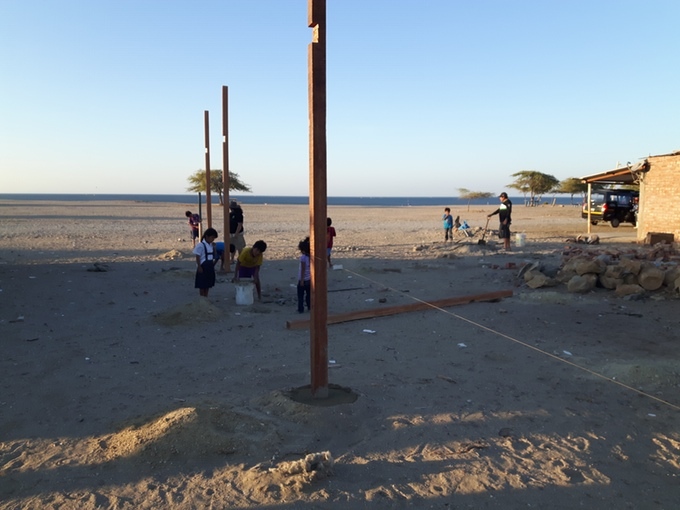 Currently, WindAid Institute is running a community workshop in Playa Blanca, Peru, to build small scale wind turbines for houses that are not on the electricity grid. 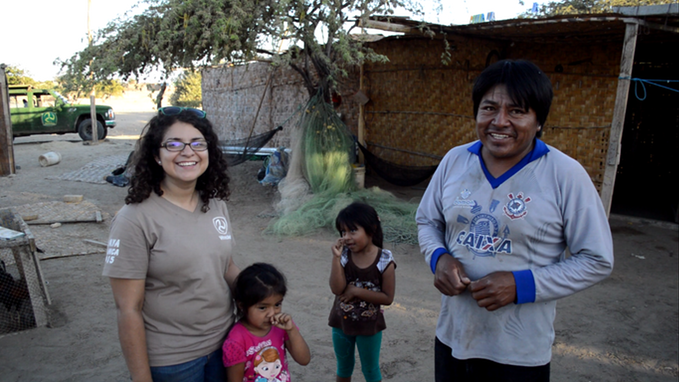 The idea of organising the workshop came from the fact, around 37% of Peru's rural population does not have a connection to the electricity grid. In remote areas a connection is difficult and expensive; the alternatives of running diesel generators and using candles are costly, dangerous for health, and pollute. 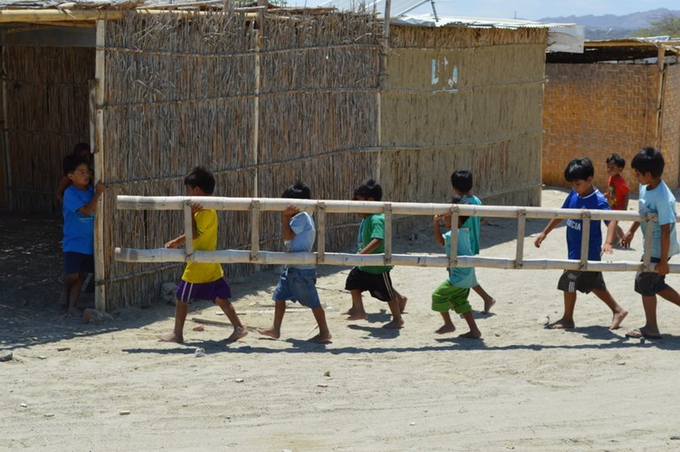 Peru is already suffering the direct impacts of climate change. Luckily much of Peru has plenty of sun for solar generation and large areas ideal for wind generation. Today there are over 60 families, two schools, a restaurant, a shop, a community centre and a church in Playa Blanca. However, it still has little infrastructure, including no access to grid electricity. 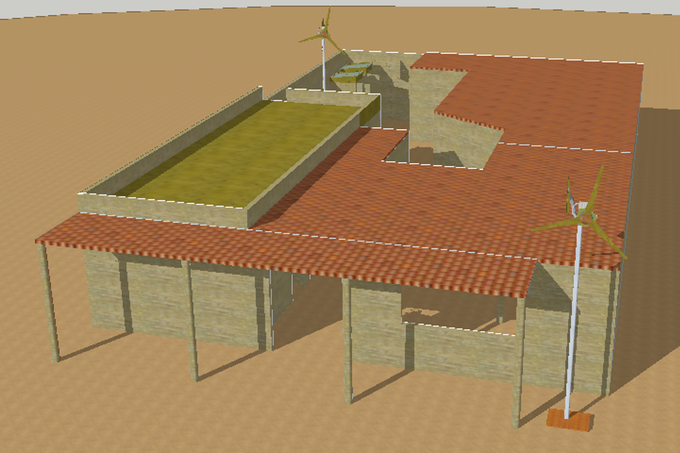 The Playa Blanca Wind Workshop has a modern design but also fits in with the surrounding buildings. It will be made principally using bamboo as a local renewable resource for durability and natural beauty, and other locally-sourced materials. 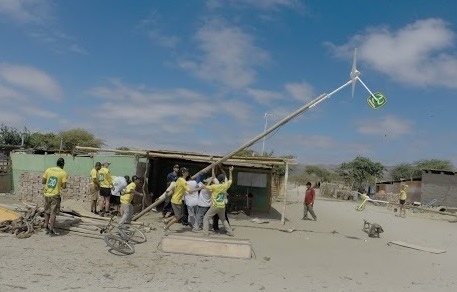 The crowd fund raising campaign of Playa Blanca Wind Workshop’s first phase is currently live at Kickstarter for a goal of $ 35,000 to build the wind turbines through to November 2016.